What is an explainer video? Why is it important for business? Explainer videos for business are the best tools for engaging the visitors of your business’ official website. Such videos are also crucial to convey messages to the audience about the advantages of availing your company’s services and products. The average user spends about 10-20 seconds on a site if there is no compelling reason to stay longer. The first ten seconds of explainer videos are crucial for telling viewers the reason(s) for continuing to watch it by laying out your brand’s value proposition. In just a few minutes, you simply cannot risk to put your reliance on the text only to get the audience’s attention, graphic & animation are indeed an essential element for that job. There is no better tool to show the line of difference that you have from your competitors than an explainer video. Why? Because audience today has a shorter span of attention and through a 60-second video incorporated with incredible graphics and eye-catching animation, you will be able to sell them what they want! Explainer videos can clearly articulate the business’ product or service that it is representing in just a minute or two. Video allows the viewers to extract more information in just a jiffy when compared to the time taken for reading anything. Secondly, explainer videos incorporate both visual as well as audio communication that enhances the perception of the people on that brand. Explainer videos build brand awareness and generate trust of the audience in the company. A high quality video is aligned with the brand’s personality, values, aesthetics and cultural guidelines. Explainer videos are created platform-friendly; i.e. they can be posted on any digital media channels, targeting customers across the internet.Plus yes, they are mobile-friendly as well. 3 out of 4 brand experts and ad agency executives said they expect original digital video programming to be as important as TV programming within the next 3 to 5 years. So, why Animated explainer videos then? Animated explainer videos are perfect for businesses who find it difficult to pitch and sell a product through other type of videos or other kinds of promotional methods. Studies have shown that it is very much impossible to gather a higher traffic growth unless the marketing video is animated. With the power of animation, any complex information can be visualized. Lively characters coupled with eye-catching cartoons strike the intent and the emotions of the users and create an atmosphere of engagement. An addition of emotional component with rational argument enhance the desired effect of germinating attention. It becomes easier for the audience to follow the story line. Information stick to the memory more. Animated explainer videos can never be bound by the script. The possibilities are endless. Here, the characters (even texts) can fly, sing, dance and stand in front of you in costumes. And when they are backed by incredible storylines, then you can expect a higher rate of lead generation. Video explainers are affordable. Businesses can save a lot of time, money and resources just by putting texts and graphical elements into work and injecting the entertainment factor for grasping the audiences’ interests. 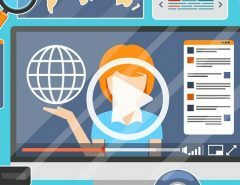 Animated explainer videos are wonderful tools for increasing the business to business (B2B) sales. The medium is highly effective when it is utilized well by the private entities and companies (yes, I’m hinting at the investment). There is a great boom in the production of web videos since it has increased the rate of internet searches on products that are spoken about through videos. 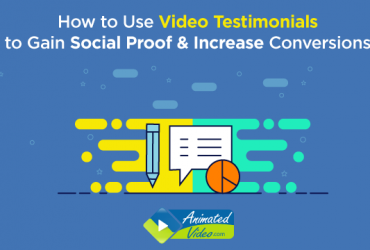 A lot of companies have been able to see an incredible rise in their sales by creating and posting animated explainer videos. Dropbox’s success story is considered as one of the most successful ones. The brand welcomed unimaginable amount of success as a startup with the use of explainer video. The brand was founded in the year 2010 and it reached 100 million users from zero in just a short span of 5 years. They used an effective viral campaign and the most simplified landing page design which had an animated explainer video at the bottom, with a download button. The video was viewed 750,000 times in just 1 month. Dropbox increased its conversions by 10%. Converted nearly 1 million visitors into registered users. Rypple or workproject.com placed an animation video on its home page. The result? It increased conversions by 20%. 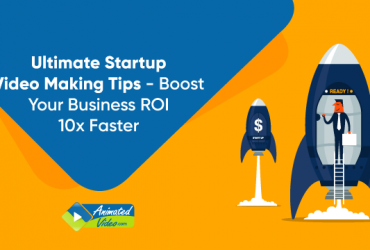 If you want to make any of your products successful or to protrude your brand reach, make a wise choice of employing explainer videos for your business goals. The tool can never go wrong. 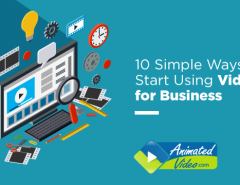 Today, getting an animated video created for your business has become unbelievably easy. You just have to find the right tool or seek the right person to meet your creative requirements. Need an explainer marketing video for your business as well? Have faith in us, the Animated Video. 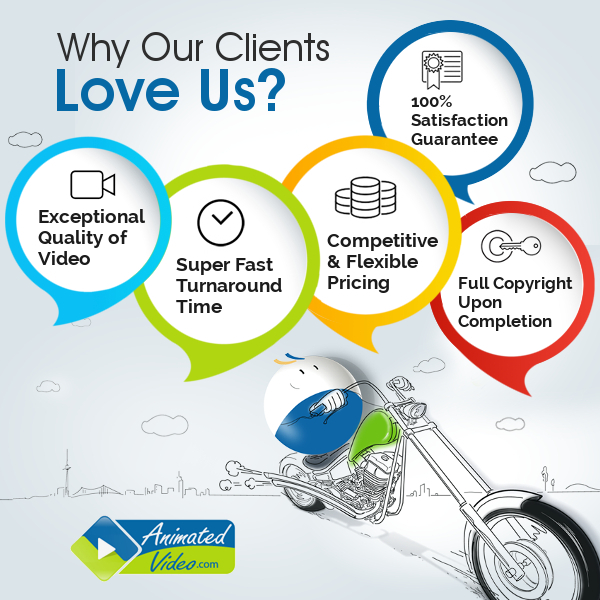 Our custom made explainer video animation services sit perfectly with the professional requirements of all kinds of businesses. Want to create a niche on social media? Want a perfect video for your website’s landing page? Want an explainer video for your business’ products and services? We have it all. Tell us what you need and we’ll get it done ASAP, so that you get to achieve your business goals faster.